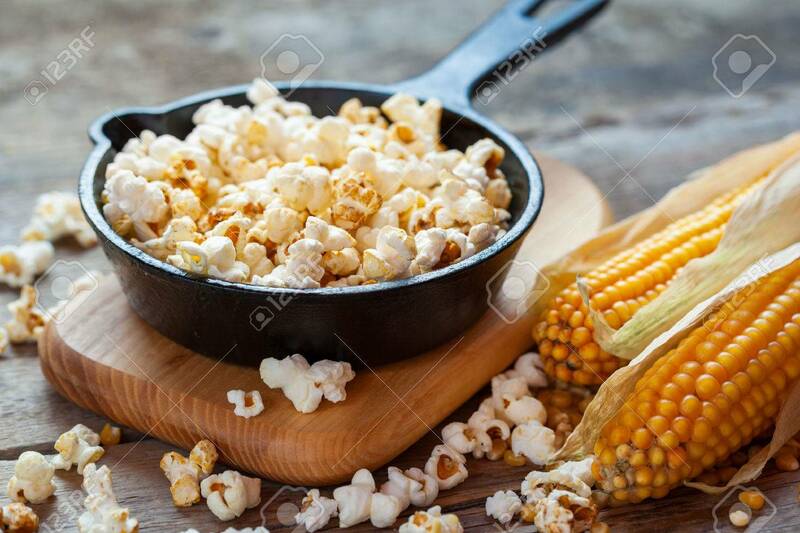 Prepared Popcorn In Frying Pan On Cutting Board, Corn Seeds In.. Stock Photo, Picture And Royalty Free Image. Image 48257184. Stock Photo - Prepared popcorn in frying pan on cutting board, corn seeds in bowl and corncobs on kitchen table. Selective focus. Prepared popcorn in frying pan on cutting board, corn seeds in bowl and corncobs on kitchen table. Selective focus.